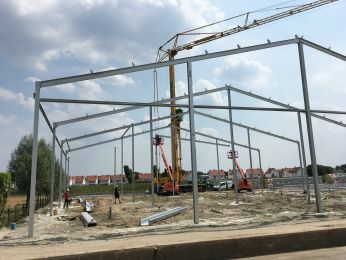 One of the biggest growers decided to build a new facility from scratch near the market of Frankfurt. 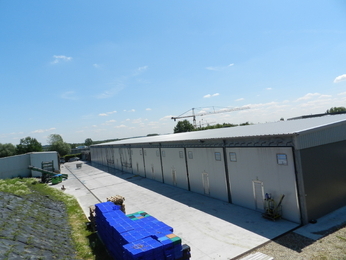 Christiaens was given the order to build 22 growing rooms of 820m2 completely turnkey. 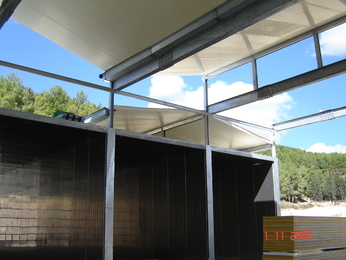 The project was split into 2 phase to be able to have mushrooms before Christmas and to start-up the project in 2 steps. The first stage was 14 rooms. In November 2014 the first rooms were filled. 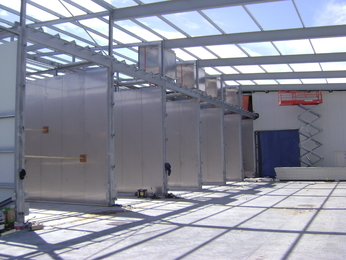 The second stage of 8 growing rooms will be ready in the summer of 2015. Recently the tunnel facility of Sumas Substrate is expanded with 4 Phase 2/3 tunnels. Currently an existing Phase 1 yard will be renovated. It will be turned into a complete indoor facility with all needed requirements for air treatment. 4 Season King is a company located in Abbotsford which is close to Vancouver. This project is a turn-key project with 12 growing rooms of each 856m2. 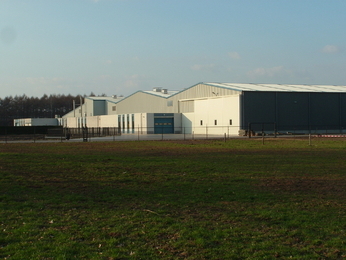 Christiaens was responsible for the design and construction of this facility. 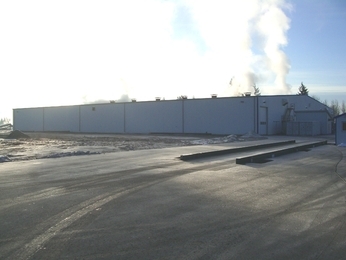 Loveday mushrooms is located in Winnipeg Canada and is one of the most coldest areas where you can find mushroom production. Temperatures in the winter time go regularly below minus 40 degrees Celsius. 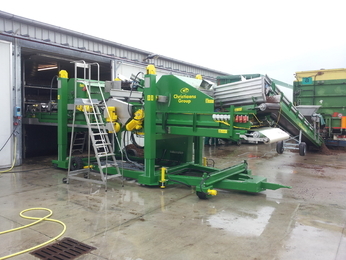 In order of Loveday Christiaens build a 7 Phase 2/3 tunnel facility to serve the growing facility with Phase 3 compost. 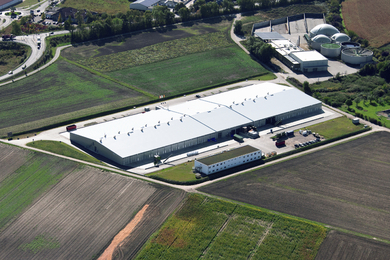 The last expansion of Piccioni Mushrooms was building 6 growing rooms of 400m2. 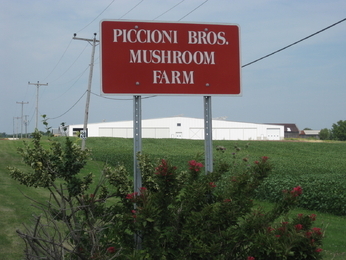 The focus of Piccioni is growing the best quality of mushrooms. Therefore a lot of focus was laid on the design of the climatisation. 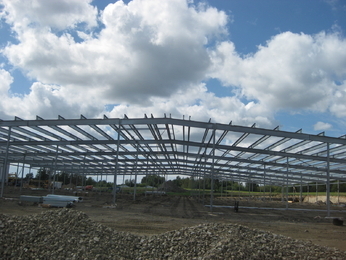 We are proud that Christiaens was chosen to do this expansion. Eurochamp is a company of the Biofungi Group. 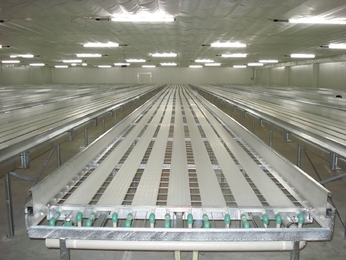 The farm consists of 6 growing rooms of 562m2 growing area. 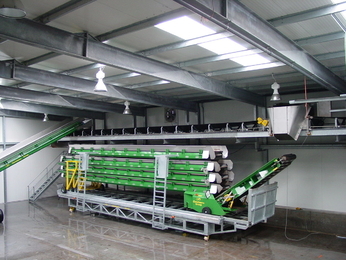 The focus on this project was to design a farm with good harvesting efficiencies , best air quality and distribution possible and energy savings. All in close cooperation with Biofungi/Eurochamp. The results are there. 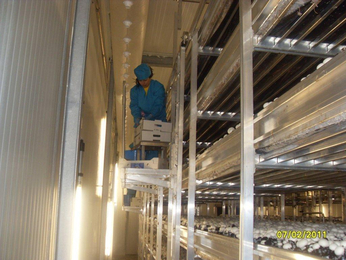 Due to the limited opportunities for expansion on the existing site and with a view to establishing uniform growing rooms, Willems BV decided to extend the oldest of the existing rooms and to replace the shelving systems with identical ones to those in the most recently constructed rooms. mushroom farm according to a completely new concept. 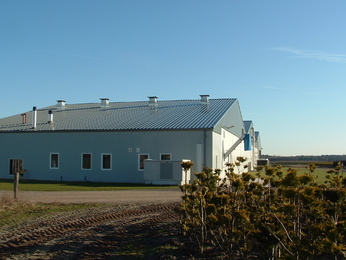 The five owners had decided to set up a farm applying new techniques and innovations used for growing and harvesting. 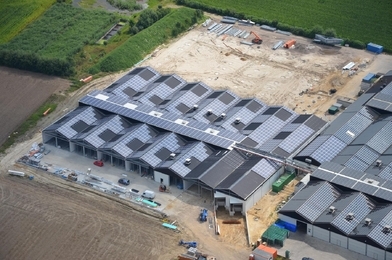 Walkro Maasmechelen planned on expanding the capacity and this was also a good opportunity to build a state of the art facility with all kind of improvements on environmental side. 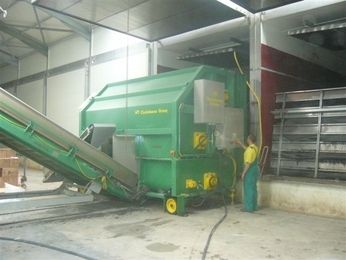 compost facilities in the Netherlands.Because Walkro is one of the biggest compost producers in the world and therefore they use the machines a lot of hours per week. 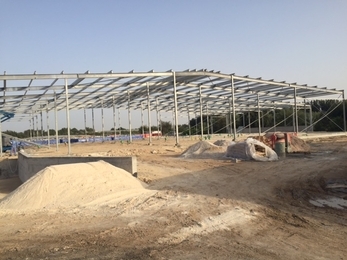 In order to expand its production operations, the company opted to build a new farm, the aim of which was to achieve efficiency benefits through economy of scale. 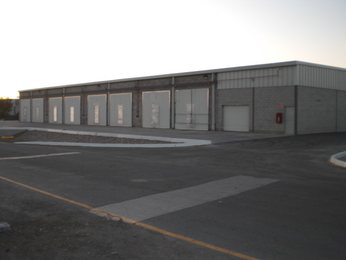 Four growing units were built during the first phase, each of which comprised 1728m2 production area. 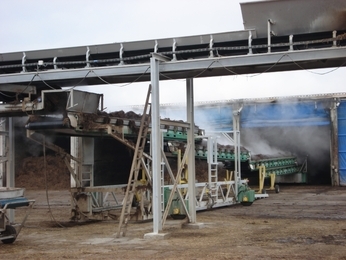 Ukrchampignon is a subdivision of the Veres Group of companies and are located in the Kanev, Cherkassy Area, in the heart of the Ukraïne.The company produces 1000 Tonnes of phase 2 compost, 250 tonnes of casing soil mix and 300 tonnes of fresh mushrooms per week. Trademark is the new company of the Champs Group. 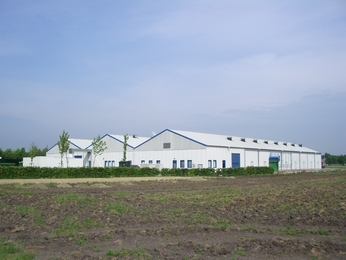 Christiaens Group was given the order for a turnkey project in 2009. The project involved 12 growing rooms each with a surface area of 756m2. Snow Cap Mushrooms is situated about 40 Km west of Durban, South Africa. 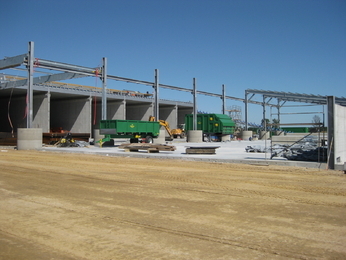 Christiaens designed a tailored compost yard and pasteurisation tunnel and after a total building time of just 7 months the facility was put in production in February 2007. 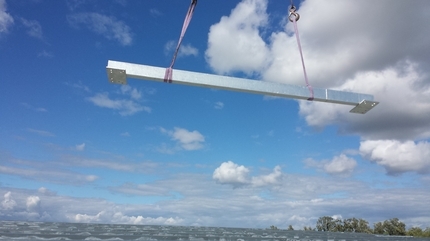 Prinevskoe placed an order with Christiaens for the supply of the entire technical installation and the complete interior of the growing farm, including the panels. 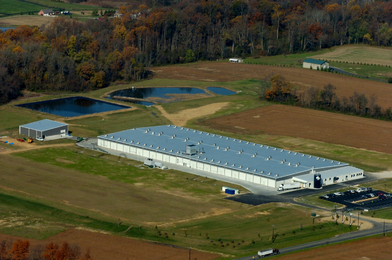 Warwick is a facility of Philips Mushrooms in Maryland, USA. In 2008 they build 25 growing rooms of 906m2 (See also Bulletin nr. 10). 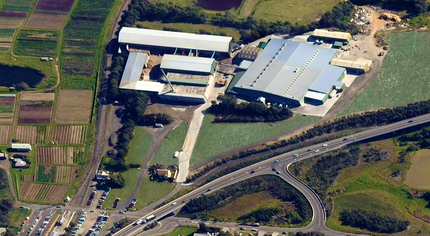 After a successful period with good and efficient productions they decided to expand the facility once more. 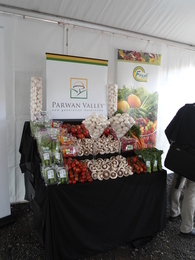 In April 2012 we started up a new mushroom facility for Parwan mushrooms. The investors came originally not out of the mushroom industry and explored the potential supplier who could be their best partner for building this project. Limgroup BV is a consortium of agricultural research companies which is specialised in the breeding of new plant and mushroom varieties. 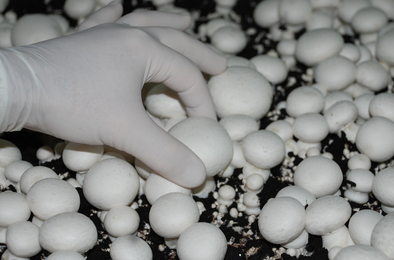 It’s daughter company Mycolim, established in 2009, focusses on the improvement of the commercial growth of mushrooms and the development of new button mushroom varieties. 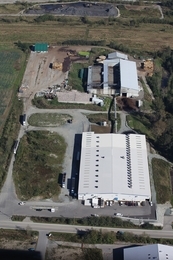 Mycelco is the name of the new tunnel complex owned by the Champs Group in Canada, a group of growers that jointly market their mushrooms and produce compost. Australia’s largest growers, packers and distributors of fresh fruit and vegetables. Moni is part of Elesco. 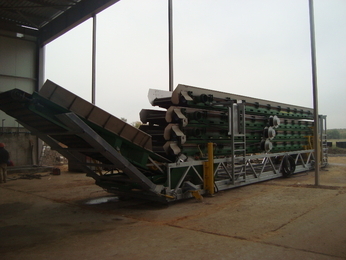 Elesco is a processing company for fresh sliced products like lettuce and mushrooms. For this company they produce partly their own mushrooms in the farm named Moni. In the East of Ukraine the company Miko-Food is established near by the city Donetsk. Miko-Food is growing very rapidly and expansion is going on constantly during the last years. The company exist out of 2 facilities which are been separated half a km. and one of the top two in Australasia. 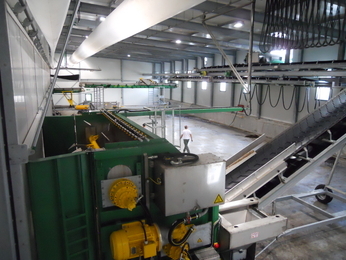 Marina Ltd. expended their compost production with 5 extra Phase 2/3 tunnels and a completely new Phase 1 facility with the capacity of 800 tons weekly. 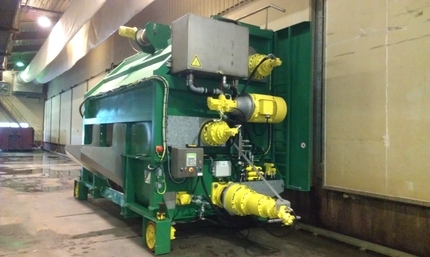 Leo & Son is one of the shareholders in the compost production company Laurel Valley. 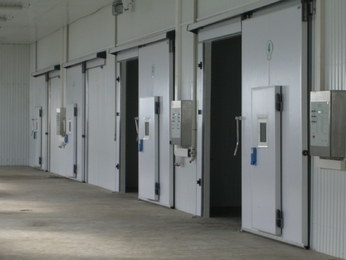 The farm consists of 20 growing rooms, each measuring 8100 square feet. 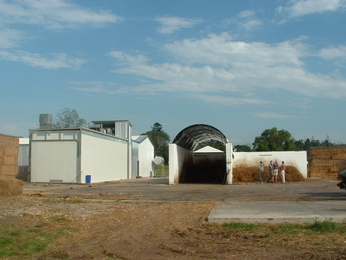 In early 2007, the Board of Directors of Laurel Valley took the decision to construct a tunnel complex to produce phase 2 compost. Mr. Dejan Krizanic runs a mushroom farm near Nova Gradiska in Croatia. 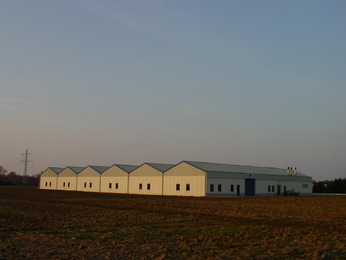 In April 2007 the new farm was put in production. 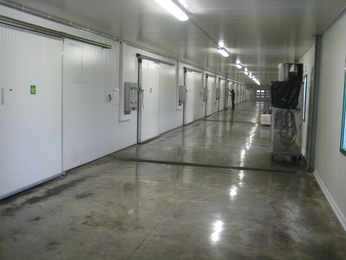 The farm consists out of 6 growing rooms of each 265m2 of shelf surface and a working corridor. Karol Kania i Synowie So. z.o.o. 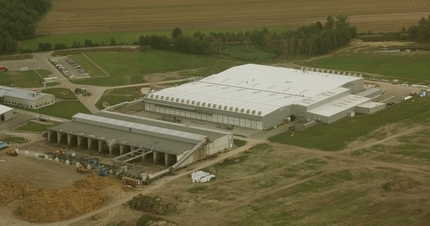 In 2008 construction started of a new compost facility in the east of Poland. 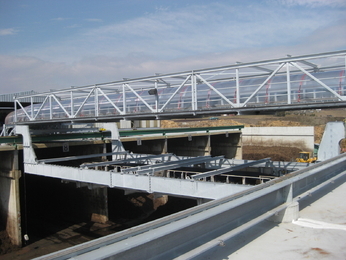 As the project was entirely new, the project could be built fully according to the customer ’s specifications. Il Castello mushroom farm is an renovation project on a existing mushroom farm which was built in the sixties, with a total growing surface of 6444 m2 . 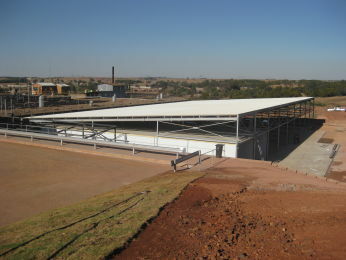 Highveld mushrooms is located at Bryanston – South Africa. 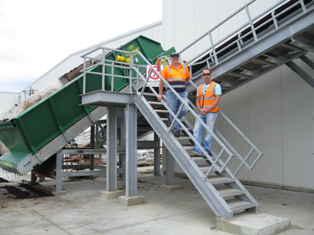 This company has it’s own phase 1 facility, has also a phase 2 and phase 3 compost facility and they have their growing rooms at the same location. The advantages of the new growing unit are extremely high production yields of premium quality mushrooms according to Giorgio Grespan. Another benefit was the cook-out process that destroys all unwanted diseases. 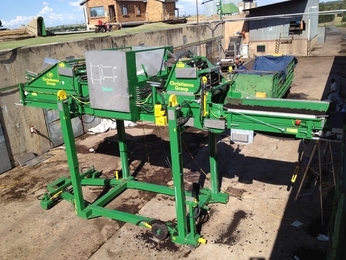 In view of the higher demand for phase 3 compost, Germinados has decided to expand its compost plant. Initially nine tunnels and three bunkers were built. In September 2005 Fungis started with this project.They built 9 tunnels (size 4m by 35m) for Phase 2 and 3 in a building time of 7 months. The first tunnels were filled in March 2006. 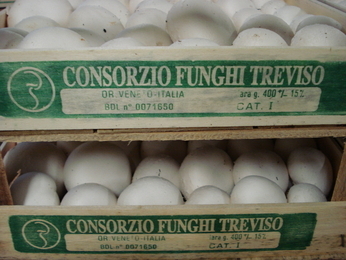 Funghi di Treviso is a co-operative formed by a group of mushroom growers in the Treviso region (close to Venice) with the aim of creating a joint marketing strategy for their mushrooms. 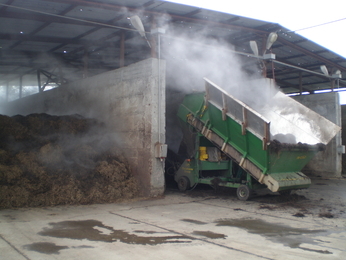 After a building time of 6 months Forest Fresh Mushrooms started the new compost facility in June 2005.At the moment they are producing 25 tons of Phase 2 per week and they have the possibility to increase the production to 50 tons. 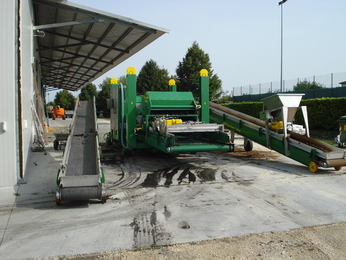 Eurokompost is the most modern compost production facility in Balkan Peninsula, located in Serbia close to the capital city Belgrade. 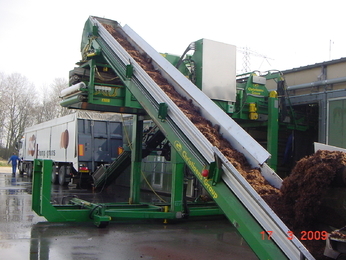 Eurokompost provides quality compost to mushroom producers in the whole area. 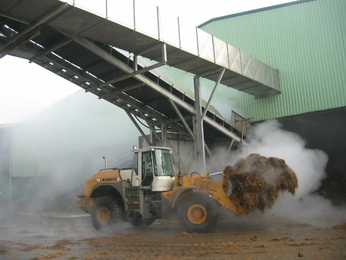 pressured by the local authorities due to environmental pollution caused by odour emission. 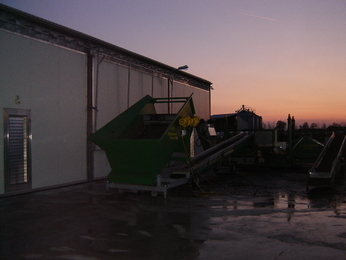 At that time they were producing their Phase 1 compost conventionally. 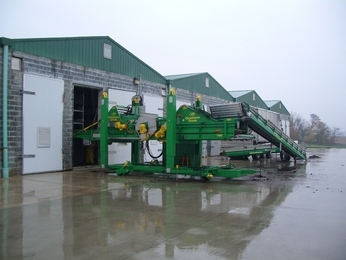 In 1993, Rob Tolson of Elf Farm Supplies developed the first aerated floor using the spigot system. 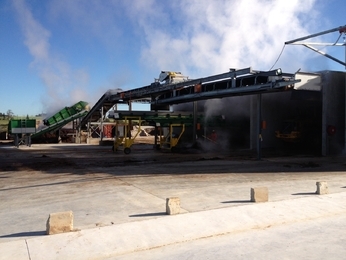 2 tunnels were built, each of 300 tons, to house the compost for the last few days of the composting process. 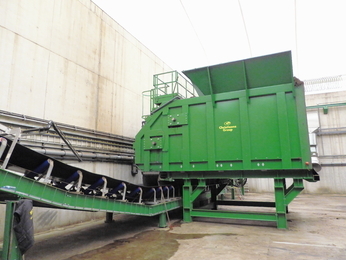 The current installation has a capacity of 600 tons of fresh compost weekly. 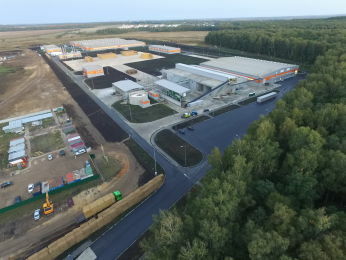 Edeleweiss is the mushroom growing branch of the Oriks group of companies owned by Andrey Zimnukhov and is located in Samara, Russia. nearby Berlin and is a part of Havelland-Champignon. Dohme already made his own phase 2/3 compost in the past and was buying phase 1 compost somewhere else. 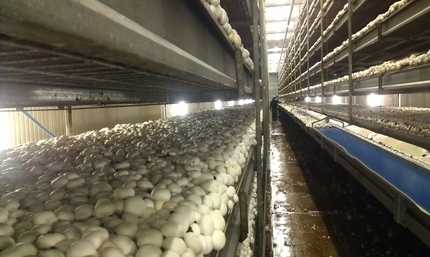 Mushroom growers Dofe have been cultivating mushrooms for the fresh market for some time. 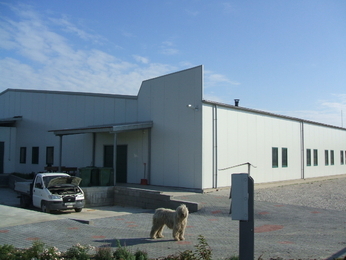 As the existing buildings no longer met today’s standards, construction of new premises started in the spring of 2006 at a new location.The first growing room was filled in September 2006. Deckers. This company is planned next to the current group of buildings owned by his father Hans Deckers. which could be loaded by a mobile blender. industry for several years. The farm already had 2 mushroom farms before they decided to expand with an extra farm. 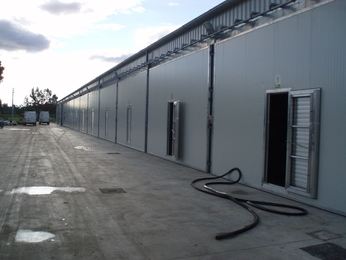 The decision to build 8 growing rooms of 1382 m2 each was taken in November 2006. Each room has 2 rows of shelves, 8 levels high. Tambo International Airport. The company was started by three brothers and their partner in 1986 and is now currently owned by 3 shareholders. 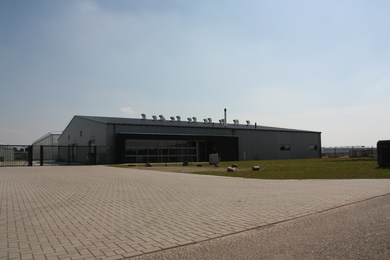 CNC has been a familiar name within the Dutch mushroom industry for a number of decades. Many new developments in the sector can be traced back to CNC. Il Castello mushroom farm is an renovation project on a existing mushroom farm which was build in the sixties, with a total growing surface of 6444 m2. 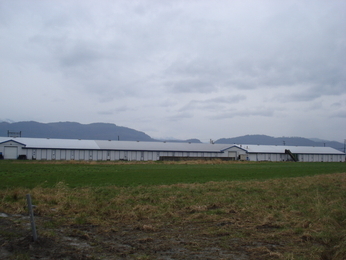 Mountain View mushrooms in Abbottsford, Canada. 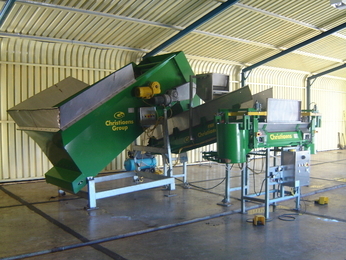 Champra is a cooperative compost producer in Pradejon, la Rioja who produces phase 2 compost in blocks, mainly for it’s own members. 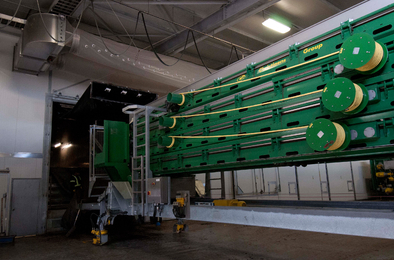 The Phase 1 compost yard consists out of 21 aerated indoor tunnels of each 150 Tons. In 1977, the Cooperative Society CHAMPINTER was set up to spread the word about the excellent reputation of the Manchuela mushroom, considered by gourmets to be the “white gold” of their kitchen. In June 2004 John Jacobs finished the expansion of his mushroom farm. The expansion consist out of expanding the growing surface of the rooms from 770m2 to 1.075m2.The bed width changed from 1,34mtr to 1,60mtr and he went from 6 beds high to 7 beds high. mushroom farm. The only thing maintained was the original building. 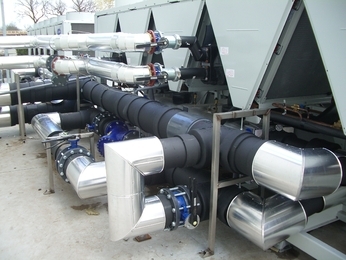 The Christiaens Group designed and delivered a complete range of new air handling systems. 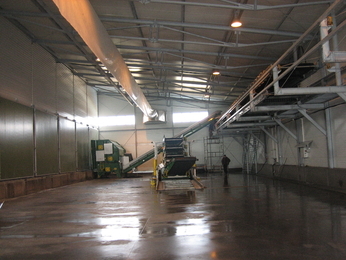 Within a time frame of 6 months, a complete new farm, including a spacious sorting hall, was constructed to replace the old farm. The farm now comprises 8 units, each of which measures 1613 m2. 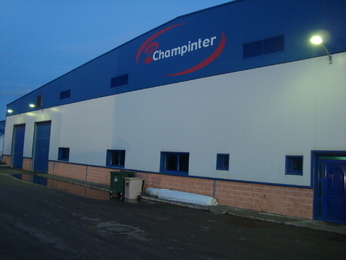 Boglarchamp is established in 2002 and is the biggest grower in the north-west part of Romania. 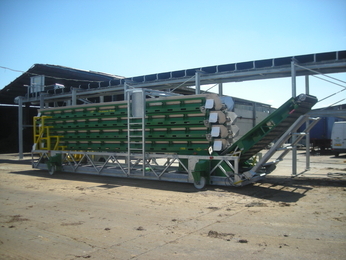 In the beginning Boglarchamp produced mushrooms in bags and on trays. bunkers and an aerated floor. 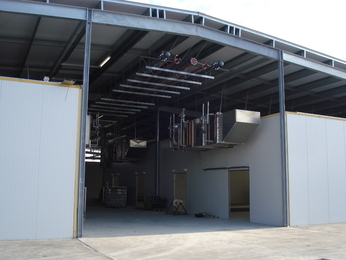 investment costs an approach was taken whereby the ceiling of the growing room is also the roof of the building. 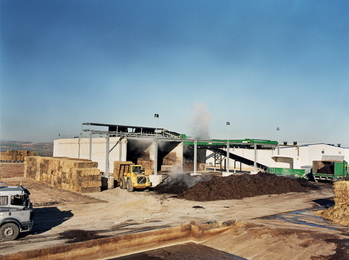 Belfungo is one of the partners in Consorzio Funghi de Treviso and is owned by the brothers Mauro, Poalo and Walter Ceron. From the end of 2004 until autumn 2005, Baltic has built 10 tunnels with a total output capacity of 300 tons Phase 3 per week. is owned by the Schirripa family. 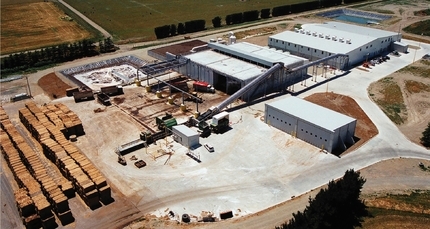 In 2010 Christiaens received the order for a new Phase 2/3 facility for All Seasons Mushrooms in Canada. This expansion is build near one of the coldest locations in the world (-50 C).